In an office canteen, there is eight colleagues for tea party. That eight friends are A, B, P, Q, L, M, Y and Z are sitting in a straight bench with equal distances between each other, but not necessarily in the same order. Some of them are facing south and some of them are facing north. Z sits third to the right of L. B is an immediate neighbour of Z and faces south. P sits second to the right of M. P is not an immediate neighbour of Y. A sits at one of the extreme ends of the bench. Only three people sit between A and Y. L sits exactly between A and Y who sits in south direction. An immediate neighbour of Y face opposite directions (i.e. if one neighbour faces North then the other neighbour faces south and (Vice-Versa). A and Q face the same direction as L (i.e if L faces north then A and Q also face North and Vice-Versa). Both the immediate neighbours of L face south. 1. Who sits between M and Z? 2. Who sits on the 2nd right of P? 3. 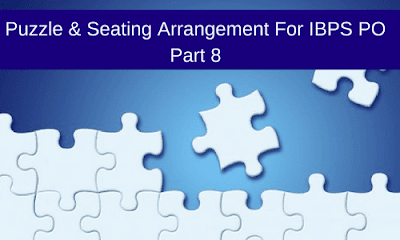 How many friends are seating between P and B? 4. Who amongst the following sits third to the right of M? 5. How many people face South as per the given arrangement? Q. 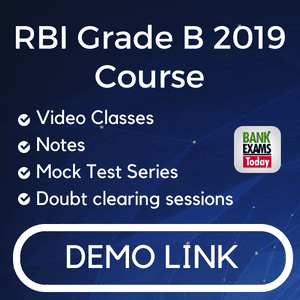 (6 – 10) Study the following information carefully to answer the given questions. 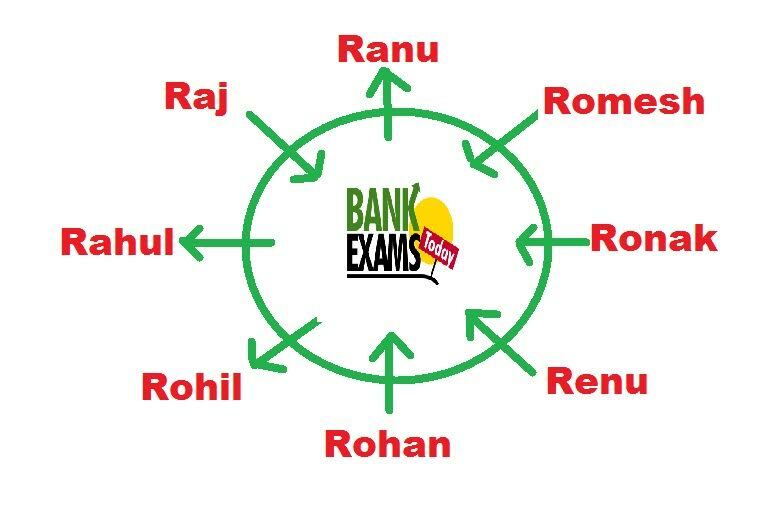 Ranu, Ronak, Rahul, Raj, Rohan, Romesh, Renu, and Rohil are sitting around a circular area of equal distances between each other, but not necessarily in the same order. Some of the people are facing the centre while some face outside. Raj sits third to the right of Ronak. Rohan sits second to the left of Ronak. Immediate neighbours of Ronak face the same direction (i.e., if one neighbour faces the centre the other neighbour also faces the centre and vice-versa) Rahul sits second to the left of Rohan. Rohan faces the centre. Romesh sits third to the right of Rahul. Renu sits second to the left of Rohil. 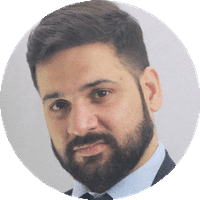 Rohil is not an immediate neighbour of Ronak. Renu faces the same direction as Raj. Immediate neighbours of Rohan face opposite directions (i.e., if one neighbour faces the centre the other neighbour faces outside and vice-versa). Immediate neighbours of Romesh face opposite directions (i.e., if one neighbour faces the centre the other neighbour face outside and vice-versa). 6. How many people are seating between Renu and Rahul when counted clockwise from Renu? 7. Which of the following is TRUE regarding as per the given seating arrangement? 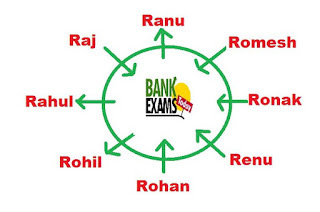 C. Only two people sit between Rohan and Romesh when counted clockwise from Rohan. 8. Four of the following five are alike in a certain way based on the given seating arrangement and so form a group. Which is the one that does not belong to that group? 9. What is Ronak’s position with respect to Ranu? 10. Who sits second to the left of Raj?